Yesterday, Senator Marco Rubio (R-FL) announced his plans to run for the Presidency. One thing that sets him apart from the others that have announced so far is that he has a comparatively detailed tax plan that he released with Senator Mike Lee (R-UT). One of the advantages of that is we can really analyze the effects of what a Rubio tax plan would have on the economy and taxpayers. His tax plan would make quite a few changes to the current code, but it’s easy to think of it as having two pieces: business-side reforms and individual-side reforms. On the business side, the tax plan fixes a lot of problems with the current code. It reduces the corporate income tax rate (and the tax rate for pass-through businesses) to 25 percent. Allows all businesses to fully deduct the cost of investments the year in which they incurred the expense. Fully integrates the individual and corporate tax code to eliminate the double-taxation of corporate income. The business side of the plan would greatly reduce the cost of capital, which would lead to much higher levels of investment. 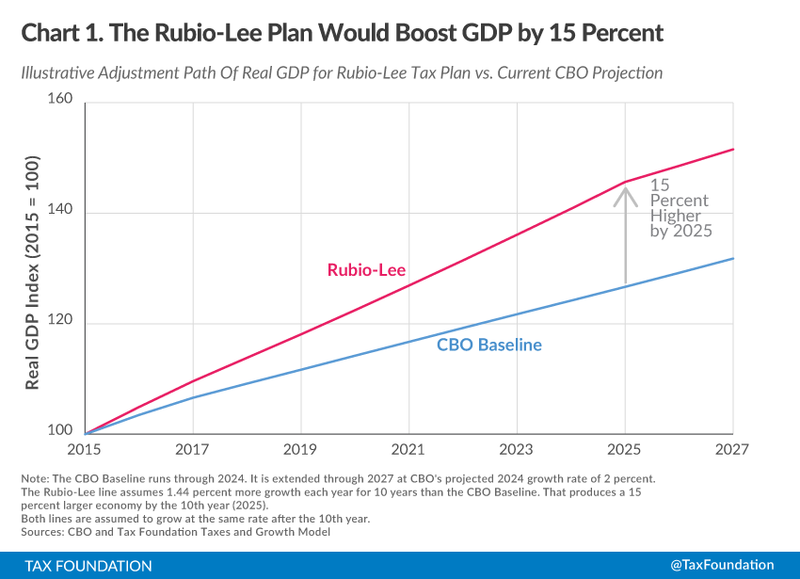 Thus, Rubio-Lee’s tax plan would net a 15 percent higher GDP in the long term. This would lead to a 12.5 percent increase in the wage rate and around 2.6 million more full time equivalent jobs. On the individual side, all taxpayers, regardless of income level, would benefit from the tax plan. At the top end, the top marginal tax rate would go from 39.6 percent to 35 percent, which would boost the after-tax income of the top 10 percent of earners by 10 percent. 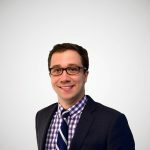 At the bottom end, the loss of the standard deduction, personal exemption, and 10 percent income tax bracket is more than made up for with the new $2,000 refundable personal credit. For the lowest income earners, that would mean an increase in after-tax income of more than 40 percent. While the plan promises a significant amount of economic growth and would net higher after-tax income for all taxpayers, someone still loses. In the case of this tax plan, the government ends up losing. 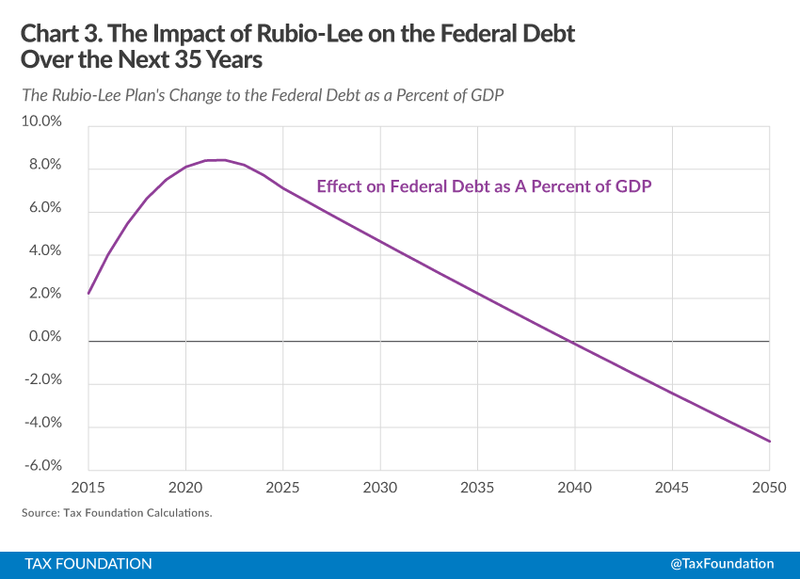 The Rubio-Lee tax plan would greatly reduce the amount of tax revenue that the U.S. government will collect. According to our analysis, the plan will cost $414 billion each year on a static basis, or more than $4 trillion over the next decade. Even if you assume that the plan results in a large amount of economic growth and thus a reflow of revenue from the large economy, the plan will still increase the debt by 8 percent in the next decade. Only after ten years would the plan start to net additional revenue each year. It would likely take over 25 years to start reducing the debt from its current point. This assumes that no other spending or tax policies change over this long period of time. 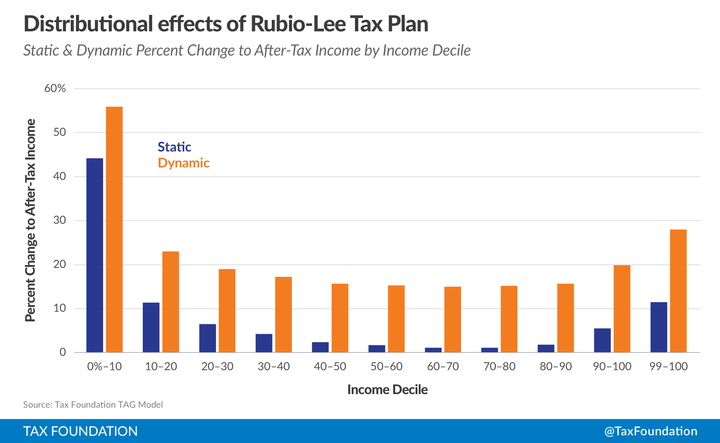 For more information on the Rubio-Lee tax reform plan, see here.